*Price excludes: electronics, merchandising accessories, furniture, flooring, freight, labor, duties, taxes, potential transfer fees or showsite expenses including electrical or rigging. Price is an estimate only and a final quote must be provided by Nomadic. 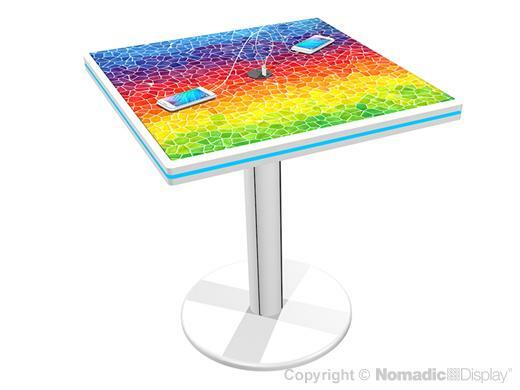 Get Powered Up with Nomadic’s 30” Square Café Charging Station. Make your trade show or conference more powerful and keep attendees at your booth longer by providing this beneficial innovative new solution! Take advantage of this great opportunity to engage with your customer and gain one-on-one time! Note: Price does not include shipping crate and graphic. Please order Crate880TL and graphic with this order.